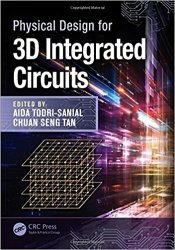 Physical Design for 3D Integrated Circuits reveals how to effectively and optimally design 3D integrated circuits (ICs). It also analyzes the design tools for 3D circuits while exploiting the benefits of 3D technology. The book begins by offering an overview of physical design challenges with respect to conventional 2D circuits, and then each chapter delivers an in-depth look at a specific physical design topic.